It’s time once again for your roundup on recent personnel movement (and lack thereof) at the Los Angeles Philharmonic. There is much to cover, so let’s get right to it, starting with the biggest news of the summer . . . The biggest buzz of the past few months happened immediately after the Walt Disney Concert Hall season ended when the orchestra roster no longer included two principal players: Carrie Dennis (viola) and Ariana Ghez (oboe). There was no official press release regarding their departure, but the news spread like wildfire nonetheless. In fact, I’ve never received so many questions about LA Phil personnel as I have over the past few months. Both were well-established in their positions. Both have been solid to spectacular musicians on stage, and both have also been known to have polarizing personalities off of it. Both of their departures caught LA Phil fans off guard. Could their situations have been related in any way? As it turns out: no. The story with Ms. Ghez, Principal Oboe since 2006, is relatively straightforward. She had been on sabbatical from the orchestra during the 2016-17 season. This past spring, she made her leave permanent, choosing to pursue interests outside of the orchestral world. She and her family now reside in the Pacific Northwest. It was not exactly expected, but to some insiders, it didn’t come entirely as a shock. Ms. Dennis’s departure caught even fewer insiders off guard, with many being surprised that it didn’t happen sooner even while they had hoped that it wouldn’t happen at all. . . . Given that there are a lot of rumors floating around, perhaps we should start at the beginning . . . 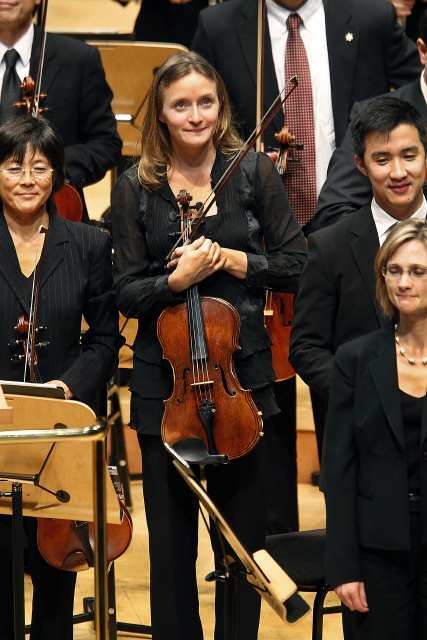 Her 2008 appointment as Principal Viola was noteworthy, not only because she came to Los Angeles after having originally turned down the job two years prior for the same position at the Berlin Philharmonic, but because she filled a chair that had been vacant for a number of years. After the LA Phil and the previous Principal Viola, Evan Wilson, parted ways, many auditions were held and multiple musicians were “qualified” by the orchestra, but the position remained empty: some candidates, like Ms. Dennis, chose to take positions with other orchestras; others chose to remain in their current positions; still others were never offered the position by then-Music Director Esa-Pekka Salonen despite being approved by the orchestra’s audition committee. All things considered, her hiring was a coup. A highly demonstrative playing style where she swayed and twisted in her seat. Ms. Perlmutter described it this way: “She dives down on a given accent, thrusts into the heart of it with startling vigor, her head impelled to her knees, her elbow raised high as she strikes her bow across the strings. By the final cadence, her neatly arranged hair is flying loose. Whatever it takes.” Some found it inspiring, a clear indication of her passion for the music. Others found it distracting or self-indulgent. In either case, she was definitely memorable, even to the most casual of concertgoers (and most people can count on one hand the number of times the words “memorable” and “violist” were so closely linked). A self-admittedly awkward personality. In the same Los Angeles Times interview, Ms. Dennis said of herself, “When you spend most of your time tunnel-visioned in your life work, learning social comfort is not easy.” She could be very friendly, even well-meaning, but that didn’t always translate to smooth interpersonal interactions. Andrew Bain, the LA Phil’s Principal Horn, tells a self-deprecating story where a particularly bad performance of his was punctuated by a rather aloof post-concert comment by Ms. Dennis that could have made a Sheldon Cooper highlight reel. These challenges have become so well-known that some casual observers have hypothesized that either/both form the basis of Ms. Dennis’s departure; however, neither of them was actually a critical factor which led to her current absence from the LA Phil roster. Instead, it stemmed from something more basic: the ability to show up when she was supposed to. Near the end of the 2016-17 Walt Disney Concert Hall season, Ms. Dennis was a no-show for a mid-weekend matinée concert; making matters worse was that the program she missed included viola solos which had to be played by the LA Phil’s Associate Principal Viola, Dale Hikawa Silverman, with no prior notice. It apparently was not the first time she was absent at the beginning of a service. Over the past few years, there had been independent reports from reliable sources that Ms. Dennis had run afoul of various orchestra rules on more than one occasion. Some had mentioned that similar transgressions made by other musicians would have led to their outright dismissal from the LA Phil; however, Ms. Dennis’s supporters — chief among them being Gustavo Dudamel, the orchestra’s Music & Artistic Director — came to her defense and were willing to give her leeway, preventing her from receiving the most severe consequences. Unfortunately, this latest miscue may have been the last straw. What happened next is not 100% clear; those inside the orchestra are understandably reluctant to say anything about it, even off the record; however, her name was dropped from the roster soon afterwards. Draw your own conclusions from there. . . . While auditions to find a new Principal Viola have not yet been announced (and depending on the exact circumstances surrounding Ms. Dennis’s departure, it could take some time), auditions to fill the Principal Oboe chair will be held in early October. The timing is particularly noteworthy since it will occur one month before the Chicago Symphony holds their own auditions for the same position; that vacancy was created when Alex Klein, longtime CSO Principal Oboe who had returned after having recovered from a debilitating injury, was denied tenure one year into his second stint with the orchestra. It’s uncertain how easy or difficult it will be to find replacements for Ms. Ghez and Ms. Dennis. Both were hired after prolonged attempts by the orchestra to fill their chairs. On the other hand, the LA Phil has recently had more good fortune than bad in filling principal chairs, and the orchestra is even more attractive now than it was last decade. I guess we’ll know more in six to eight weeks. Thomas Hooten: off to Chicago or not? Somewhat lost amid the hubbub about Ms. Ghez and Ms. Dennis was equally important news of a third LA Phil principal: trumpeter Tom Hooten. With the Chicago Symphony losing its own Principal Trumpet, Chris Martin, to the New York Philharmonic in February, there was speculation/concern/fear among the LA Phil faithful that Mr. Hooten would pursue the open position in the Windy City and/or the Chicago Symphony would go after him. 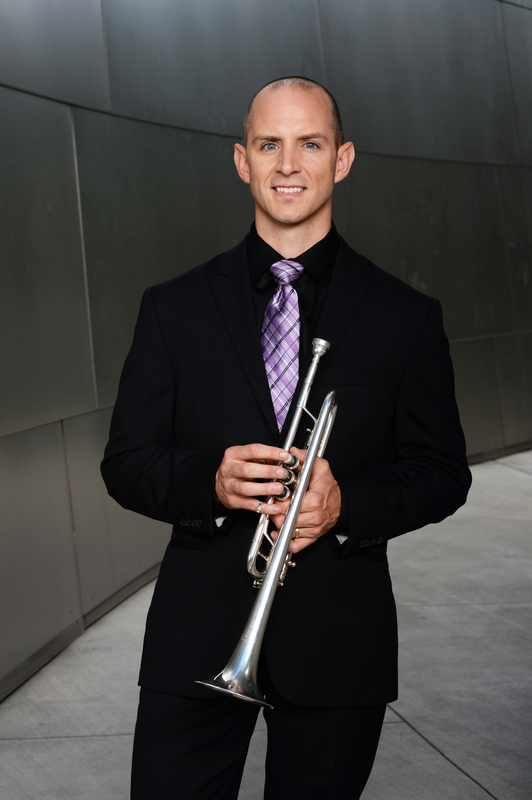 After all, the 1st Chair in the CSO was his original dream job, he’d get to play with his mentor, CSO 2nd trumpeter John Hagstrom, and his wife, trumpeter Jennifer Marotta, is a Naperville, IL, native who still has family in the area. Adding fuel to that fire was news a few weeks later that Mr. Hooten would appear as guest principal with the CSO for the two weeks Esa-Pekka Salonen was to guest conduct the orchestra. Then the CSO auditions came and went in June with no offers handed out, and rumors swirled that Mr. Hooten had chosen not to participate. Could that be true? “Yes, that’s correct,” Mr. Hooten confirmed to me during a recent conversation. So Southern California fans can rest easy if not rejoice outright, while Chicago’s search continues as they regroup and try again. 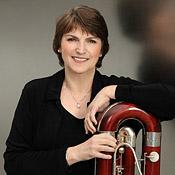 Patricia Kindel: the contrabassoonist was hired by former Music Director Carlo Maria Giulini in 1981, and has anchored the bassoons ever since. The LA native earned her Bachelor of Music from Cal State, Long Beach, and her Master of Music from USC. Prior to joining the LA Phil, Ms. Kindel played with the Long Beach Symphony, in the movie studios, and freelanced. No word on her plans for retirement. The third musician departing the orchestra at the end of the summer is third/utility trumpeter Stéphane Beaulac. The Quebec native joined the LA Phil in 2014 after having been Solo Trumpet of Montreal’s Orchestre Metropolitain, and he will soon be returning to his previous position for purely personal reasons.. He has been a strong addition to the section and has been well-regarded by other brass players. All three four musicians will certainly be missed. Miika Gregg joined the first violins in July after having spent six seasons with the Dallas Symphony. Born in Finland and raised in Boston, he did his undergraduate work at the Jacobs School of Music at Indiana University and his graduate studies with William Preucil, Concertmaster of the Cleveland Orchestra, at the Cleveland Institute of Music and Emanuel Borok at Southern Methodist University. In addition to performing classical music, Mr. Gregg has also been active in the recording industry, appearing on albums for artists such as Flo Rida, Meghan Trainor, and Charlie Puth. Meanwhile, the brass section is still missing an Associate Principal Horn and a Second Trombone. Marcel Sobol, solo horn of the WDR Funkhaus Orchestre, served as guest Associate Principal for the first three weeks at the Bowl and was the most noteworthy stand-in. No word yet on exactly when auditions will be held; apparently, but priority has been given to finding a new Principal oboe and everything else will be pushed back to winter and spring. Tags: Ariana Ghez, Carrie Dennis, Donna Perlmutter, Edward Botsford, Elizabeth Baker, Jory Herman, Michelle Tseng, Miika Gregg, Patricia Kindel, Rebecca Reale, Stéphane Beaulac, Ted Botsford, Thomas Hooten, Tom Hooten. Bookmark the permalink.